How to improve navigation training? 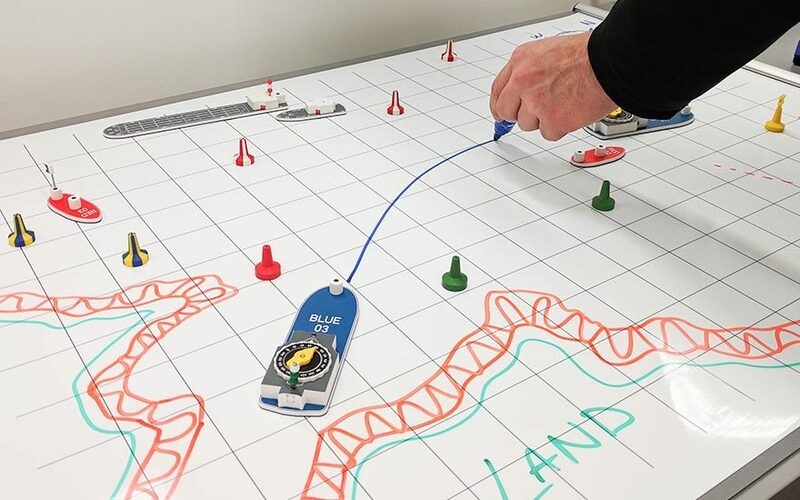 The principles of navigation and buoyage are routinely presented using a variety of media, learning tools and training techniques. Our marine training props have been developed to enable engaging and relevant simulation exercises to be conducted for training or assessment. The ease by which exercises can be planned and staged, allows multiple and varied exercises to be undertaken … enabling students to practice their interpretation of the given circumstances and develop appropriate responses … The ability to practice is applicable from a basic level of understanding to more advanced levels of navigation training, where time constraint and associated topics such as communication and leadership coaching can be incorporated in the exercise. By using a simple and functional design approach for models and props, the scale and content of an exercise can be easily adapted for a range of learning objectives and where appropriate, can be readily customised for a specific training message.